The Ontario MicroFIT program is a keg about to run dry. Nobody knows if there’s another keg in the cellar. The Ontario Power Authority isn’t saying. There are encouraging signs, but past experience has taught us to be pessimistic. We’ve been here once before. In October of 2011, following a provincial election, the program was shut down for a review of policies, procedures, and pricing. There was no advance warning that the stoppage was pending. There were few signs of how long the program would be closed, and what few there were turned out to be grossly understated. The industry was taken completely off guard, and was shoved into an extremely damaging nine-month deep freeze. Things are different this time around – to a point. At least now there is some advance warning that something lies ahead, thanks to a feature of MicroFIT 2.0 called the Annual Procurement Target. The OPA indicated that the target for 2012 would be 50 MW. However, they haven’t really defined what that means. The industry has been forced to infer the meaning from the OPA’s behaviour. When an aspiring MicroFIT participant applies for a contract, the OPA checks the application against the target. If the capacity of the proposed project falls within the target (and assuming the rest of the application is in order), the OPA gives conditional approval. Then the applicant must apply to their local utility for a connection. No application has yet been rejected because it exceeded the target. Every MicroFIT project is roughly the same size – 10 kW – so once a project exceeds the cap, so will every project that comes after. The target is a trigger to turn off the taps until…something. Back in late December, there was some speculation about the meaning of the word “Annual”. Did it refer to a target for calendar 2012? Some (me included) supposed that if the 50MW tranche was completely contracted out before New Year’s Day, the program would be shut down until the start of 2013, at which time another annual target would be set. Over 15MW remained when the calendars flipped, so we’ll never know what would have happened. The OPA issued an update on December 21st,, but it shed little light. It implied that applications submitted before the end of the year would “remain active”, whatever that means. It suggested that anything submitted after that date would be subject so some as-yet unspecified pricing. It promised that more details regarding 2013 pricing would be released in 2013. The OPA waited until January 29th to clarify things. At that time they announced that until the 50MW was exhausted, the existing pricing would remain in effect. That, finally, brought some clarity. However, it was also clear that at the established rate of contract issuance, only a few weeks remained before the procurement target (they stopped using the term “annual” at this time) would be reached and… something would happen. A price decrease? Probably. A complete shutdown? Maybe. There was a bit more transparency than back on October of 2011, but still far too much fog. One thing that was clear: The amount of capacity allocated each biweekly period was between two and three megawatts, which meant that as of the end of January there were between two and three months left before the procurement target would be reached. On April Fools’ Day or May Day or somewhere in between, the keg would be empty. When the barkeep announces last call, what to patrons do? They stampede for the bar to grab their last pint. Or two. This is what happened. The period from February 18th to March 4th saw a big uptick – only once in October did the biweekly report show a steeper drop in remaining capacity. The target was drawing nearer even faster than expected. Then something odd happened. Over the following biweekly, the unallocated capacity actually increased. This is puzzling at first, until you realize that any approved project has 180 days to get installed and connected. The rush of applications that came after the program reopened in July – many of which replaced ones that died on the vine when the October 2011 program review was announced – were bumping into that six month limit, and clearly plenty had missed their deadline. It is to the OPA’s credit that they re-released this capacity into the pool to be reallocated, instead of treating it as spent. Now the influx of new approvals and the amount of offsetting expirations should be approaching equilibrium, so we can expect the remaining capacity to continue to drop by about two megawatts per biweekly period. That means that as of this writing, the best guess is that the procurement target will be hit around May Two-Four. The OPA still hasn’t said what it plans to do when the keg is empty. However, last month it launched a consultation process to various stakeholders – industry associations, representatives of electricity consumers, and community groups. The review was focused on one thing – price. This is actually encouraging. Remember that the last time the OPA did a review, they shut the entire program down for the better part of a year. This time it looks like they don’t plan to shoo everyone out of the bar and bolt to door; rather, they’re chatting with folks while the taps are still running. Yes, it does look like another price drop is likely. That’s okay. The industry can take it. Solar module prices have continued to drop since the July re-launch. That said, some of that price drop is structural – efficiencies gained by economies of scale as the industry has grown – but some is also cyclical, as overproduction has produced a glut of panels on the market. Once that excess inventory is drawn down, panel prices will stabilize and maybe even increase. If the OPA lowers the rate too much, they risk making the program unattractive. That will not be in anyone’s best interests. But it’s much better than shutting things down. So here’s to the OPA rolling out the next keg – and may it be tasty, frothy, sensibly priced, and bring us all courage to keep pressing on toward a greener, cleaner tomorrow. Author AlexPosted on April 14, 2013 April 24, 2018 Categories Uncategorized3 Comments on Whither MicroFIT? For the past three weeks I’ve been talking about the shortcomings of the MicroFIT program. First, the OPA’s online application process. Second, the Local Distribution Companies (LDCs) and the problematic and inconsistent ways of each. Third and most recently, the heart of the Feed-In Tariff program – the FIT rate itself. Today I’ll look at perhaps the most frustrating and potentially devastating issue – one that threatens not only the future of the Feed-In Tariff program in its various forms, but also whatever might come after it. 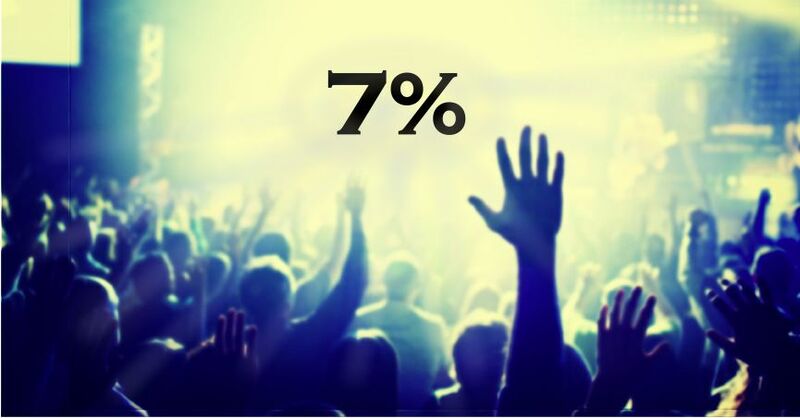 The issue is the 7% rule. First, a bit of background. The electricity grid that history has bequeathed unto us is a rough beast – antiquated, creaky, and obsolete. It was designed for a very different era. In that era, the world in general was different, electricity customers were different, the thinking behind electricity transmission was different, and the approach to electricity generation was different. The surrounding world was a big place. There were no limits – no limit on how much the economy could grow, no limit on the number of rivers that could be dammed, no limit on the amount of coal or oil or uranium that could be extracted from the ground, no limit on how much waste – smog-causing nitrogen oxides, climate-changing greenhouse gases, and near-perpetually poisonous radioactive spent nuclear fuel – that could be tossed into the environment. The world, of course, had an infinite capacity to absorb all that garbage. Humanity could dump all it wanted into the earth, air, and water, and there would be no ill effects. Back in the day, the electricity consumer was not particularly demanding. The main uses for electricity were brute force devices – incandescent light bulbs, motors, resistance heaters, and so forth. These devices were inherently forgiving. They could withstand minor fluctuations and dips in power, and alternating current with a waveform that was something less than perfectly sinusoidal. Even an occasional outage wasn’t going to cause a catastrophe. To get the electricity across the vast distances from where it was produced to where it was needed, the utility built high voltage transmission lines. Substations changed the attributes of the electricity from that which travelled well over distances (low current, high voltage) to that which was required for general consumption (higher current, lower voltage). Then distribution lines transmitted the power from the substations to the consumer. Finally, generation. When the grid was built, power was generated in a very small number of facilities, each of which produced a very large amount of power. These facilities included hydroelectric dams, coal-fired generators, and nuclear reactors. As a general rule, these facilities were located a great distance from the areas of highest electricity consumption – the cities. The surrounding world is not what it was. Most or all rivers suitable for large hydroelectric dams have been exploited. Fossil fuels are becoming harder and harder to extract. Energy-rich black coal is running desperately short, and being replaced by dirtier and less energy-dense brown coal. Most of the oil in easy-to-reach places has been extracted, forcing us to push into hostile environments – ever further offshore, into ever deeper water, or into ever colder and more dangerous arctic regions. These places have become attractive because scarcity has driven the price up inexorably. Uranium reserves still appear to be holding, but this is mostly because public enthusiasm for nuclear power has faded in the wake of horrifying disasters. Finally, the cost of waste – potentially devastating climate change being the most pressing example – is becoming more and more evident. Electricity consumers have changed. Increasingly, we depend on complex microprocessor-driven technologies that surround us to the point that we don’t notice them any more. High-definition TVs. Satellite receivers. PVRs. Computers. Smart phones. SCADA-controlled industrial processes. Life support equipment in hospitals. Systems for dispatching emergency services – firefighters, ambulances, and police – to where they are needed. All of this technology does not respond well to a dirty and fluctuating power supply coming from an obsolete grid. The scarcity of fuel and the side effects of waste have driven up the cost of energy. What used to be an acceptable loss – the energy dissipated as heat (and the noise of that 60Hz hum) with every kilometre of transmission lines – looks increasingly profligate. These transmission lines also look increasingly vulnerable and indefensible in an era of random global terrorism. The change in the global environment, and the fading apparent wisdom of making massive urban areas completely dependent on distant sources of power, have driven a change in the approach to energy generation. Economics and other forces are pushing us away from centralized generation and toward distributed generation (DG), where power is provided right at the point of use through solar, wind, combined heat & power, district energy, biomass, and large-scale energy storage. The world has changed. But the grid hasn’t changed – or at least it hasn’t changed enough. In Ontario, the rule is that DG may not exceed one-third of the minimum load on a feeder (a feeder being a line that delivers power from a substation to consumers). This is based on a standard developed by the Institute of Electrical and Electronics Engineers (IEEE). Since the feeders in question have a minimum load that is either 20% or 30% of peak, that translates into a limit of either 7% or 10% of peak load that may come from DG. Mind you, nobody is actually treating the IEEE1547 standard as being carved in tablets of stone and brought down from Mount Horeb by the disembodied spirit of Nicola Tesla. Or not exactly. Everyone agrees that it may be possible to push beyond these limits, given sufficient study. The Ontario Energy Board has said it. Hydro One has said it. Hydro One’s consultants, Kinectrics, have said it. So if Hydro One, and the Ontario Energy Board, and every other decision-making body in the constellation that appeared after the breakup of Ontario Hydro all agree collectively to sit on their hands, it’s not the end of the world, right? Meanwhile, others are moving the ball further down the field. According to the L.A. Times, Hawaii recently reached a level of DG of 75% of minimum load, or 23% of peak. That is more than double the level that Ontario has decided is feasible. California recently adopted a benchmark of 100% of minimum load, or three times the Ontario threshold. Although Ontario’s elected representatives have charted a course to a clean energy future through the Green Energy Act, they are being stonewalled. Ontario’s electricity czars have made a concerted effort to treat standards as dogma, to treat innovation like leprosy, and to treat the world like it has infinite capacity to sop up all the carbon and radioactivity they can spew out.